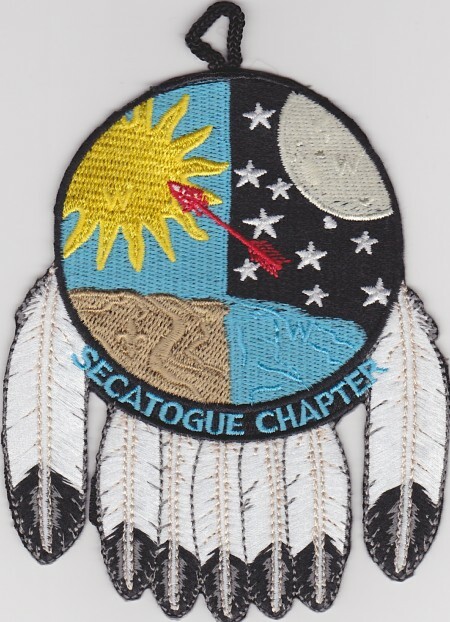 Was able to pick this one up at the ArrowTour stop in Camp Alpine last month, a new chapter issue from Shinnecock Lodge #360’s Secatogue Chapter. Can anyone explain the symbolism of the image? Shinnecock Lodge #360 Secatogue Chapter 2001 Spring Camporee eR2001? Shinnecock Lodge #360 Secatogue Chapter 1998 Spring Camporee eR1998?